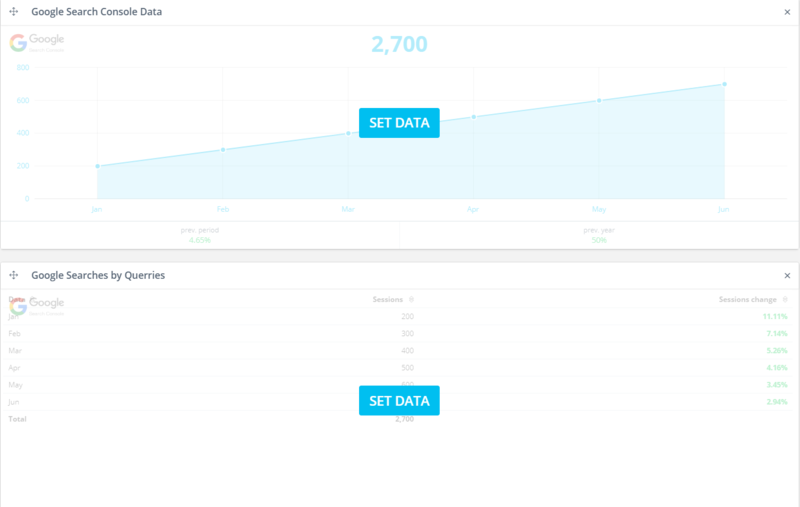 How to create my first dashboard? 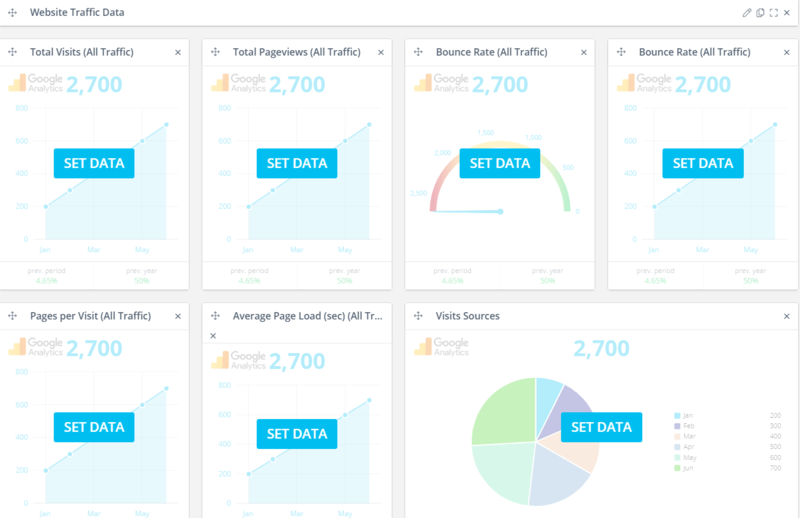 To create your first dashboard, just follow these simple steps. Here you have 2 options: Start From Scratch or Start From Template. First, enter the Dashboard/Client name. Note: Click here to learn how to Add Data Widget and how to Add Text Widget. Again, you first need to enter Dashboard/Client name. Once you do that, click on Start From Template. Click on the desired type and choose from the options given for that template type by clicking on the Create button for that option. 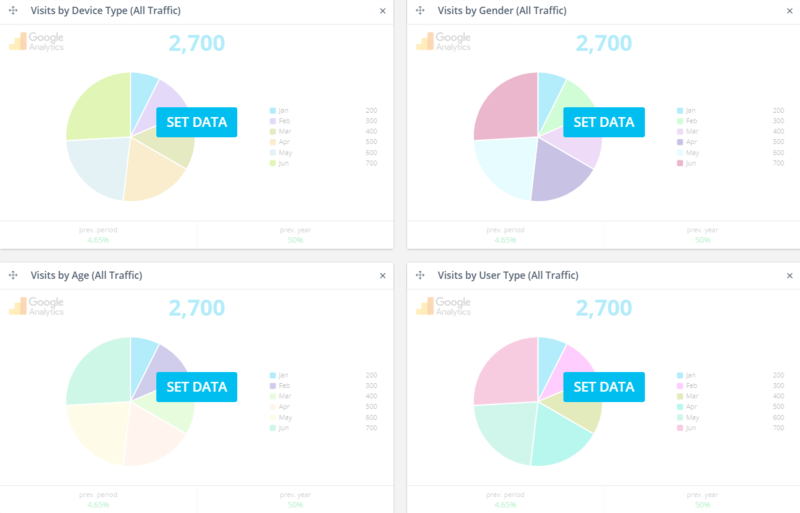 In this case we decided to go with: General Reports -> General Website Traffic Report. While you also have the option to choose the templates for this particular source and report type. To create your widgets using the desired template, simply click on SET DATA button on the desired widget template. 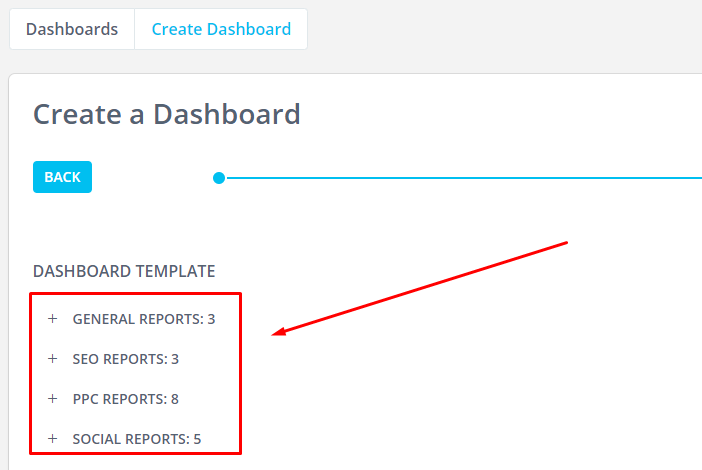 NOTE: You need to add all requested sources and desired properties for which you want to create a report, only then will those widgets be automatically created on your dashboard. 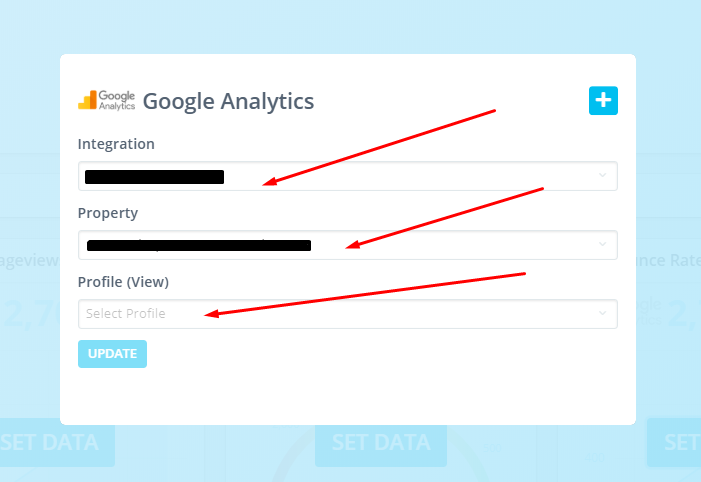 If you add only one, for example Google Analytics source and desired property, you'll see only GA widgets on your dashboard.If you choose this option, no problem, you can add all desired widgets manually later, when you connect all your sources. In the Dashboard interface you can style up your dashboard, add yours and client's logos, and upload a background image. You can do all that later, as well.